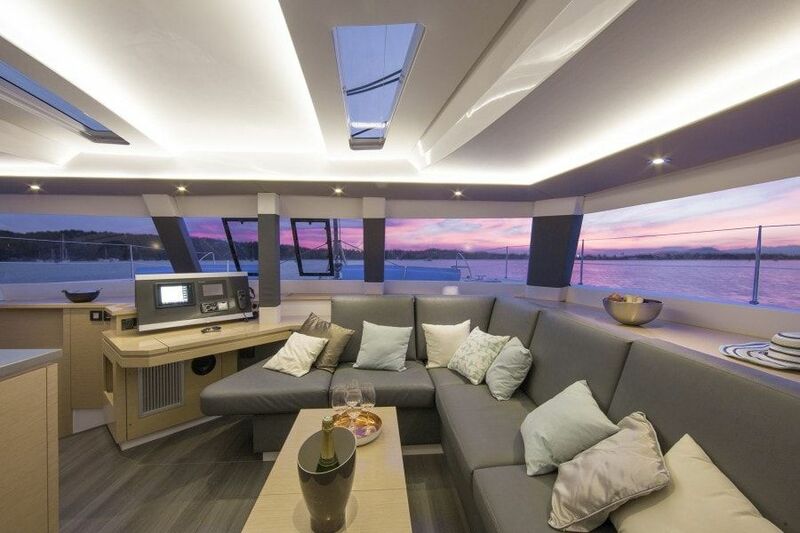 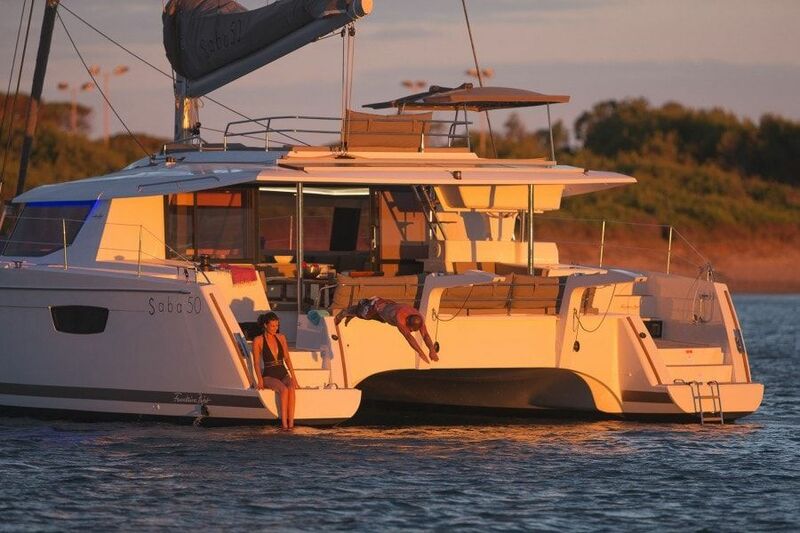 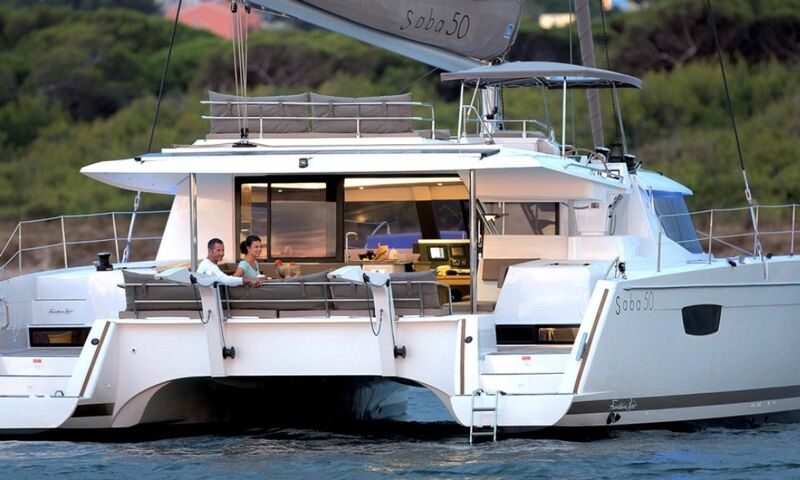 Europe yachts Charter is proud to present You our amazing Fountaine Pajot catamaran: Saba 50. 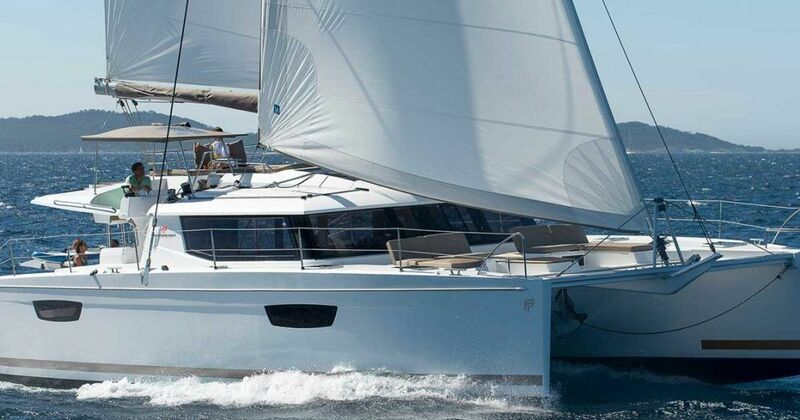 After a first year of charter we are pretty sure that we will offer this revolutionary model in charter fleetand charter managementprogram from next seasons as our top model. 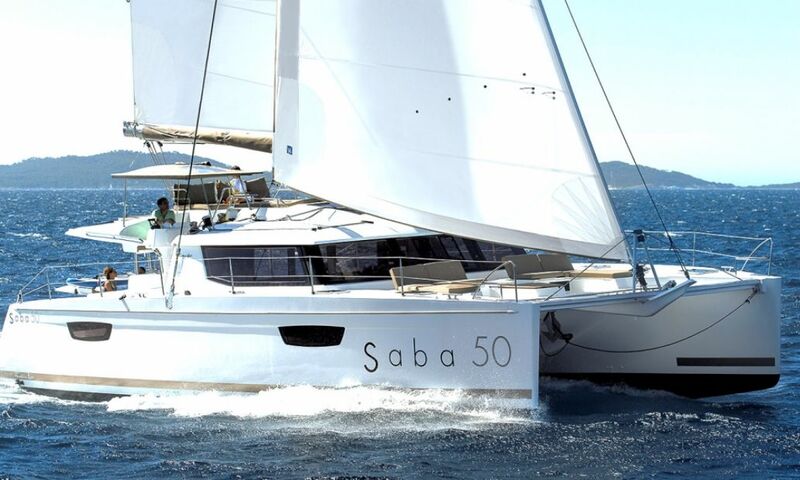 This Saba 50 confirms the new dominating position of Fountain Payot in the catamaran world, the idea is to improve the sailing performance in accordance with a high level of space and comfort with modern and luxury catamaran line. 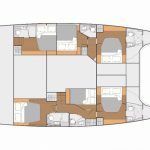 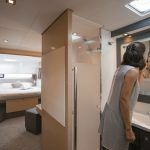 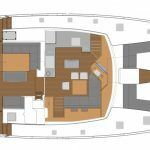 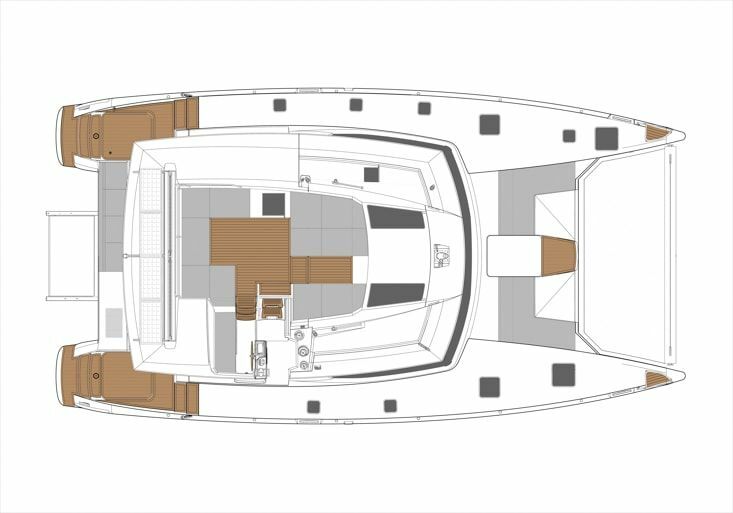 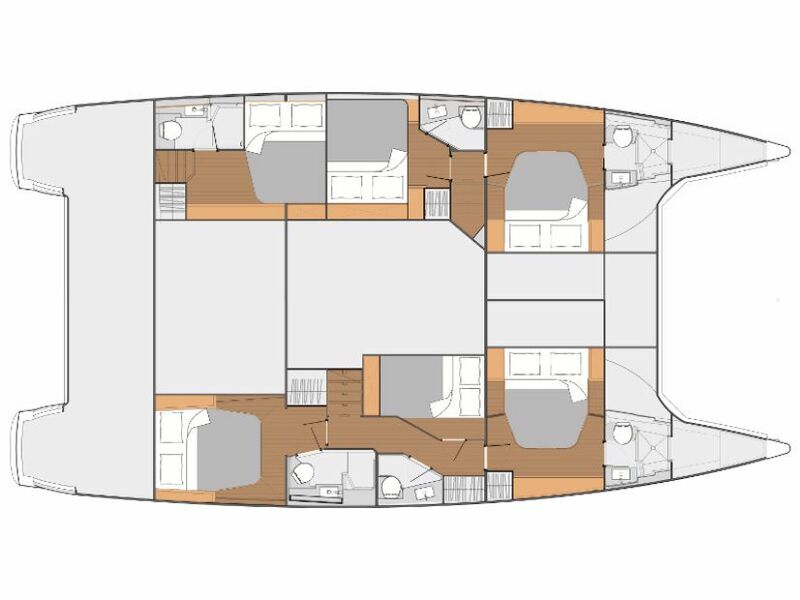 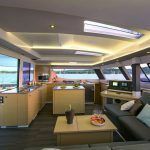 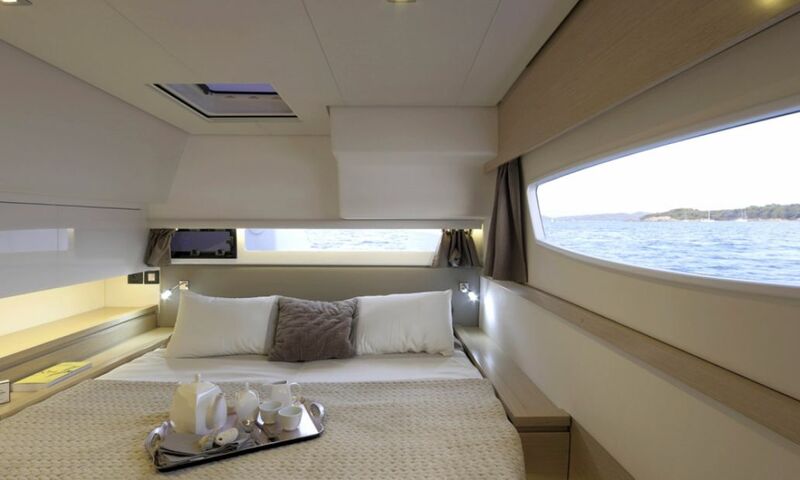 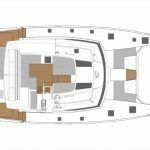 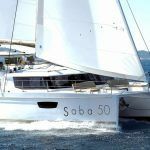 The Saba 50in configuration with 6 cabins (other catamarans have only 4 cabins) will be for sure a very attractive catamaran in Croatia and Greece for charter activities. 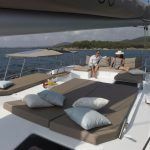 Our charter companyis very proud to have in our offers and charter a catamaran Fountaine Pajot, we already have many success with the Liparis 41 and the Helia 44. 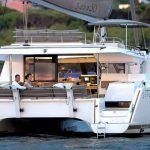 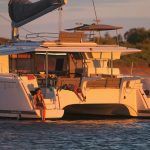 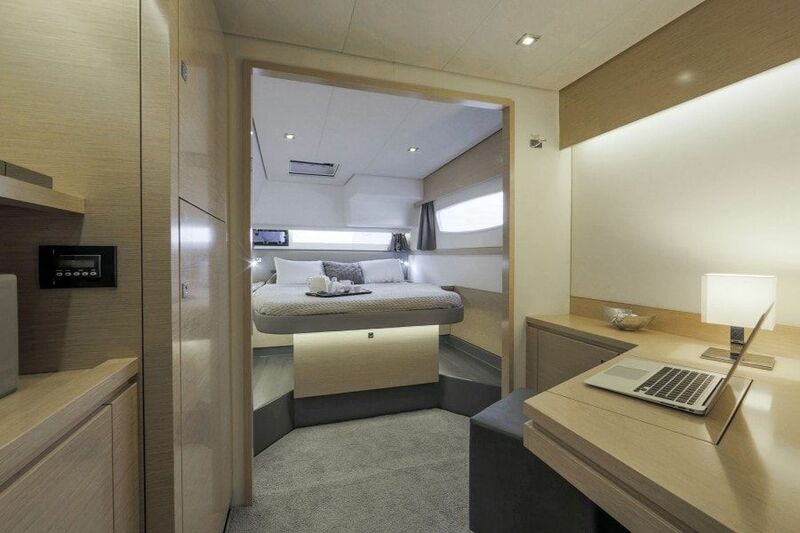 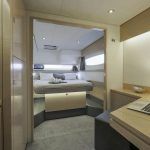 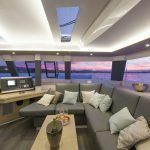 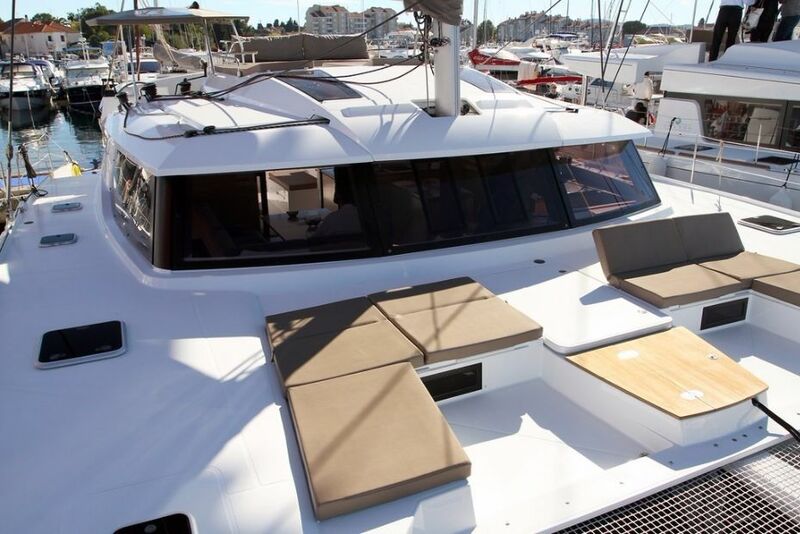 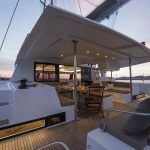 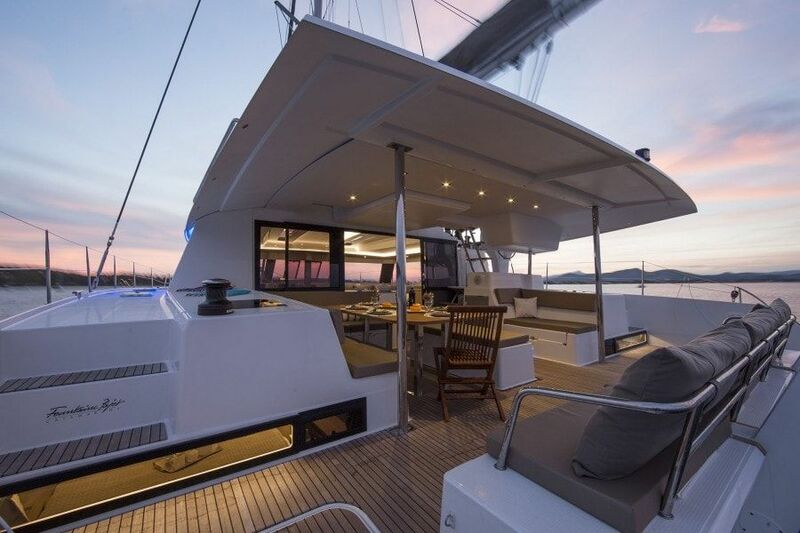 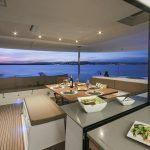 Multihull Saba 50 is family friendly Croatia & Greece flagged charter catamaran, built by French company Fountaine Pajot and scheduled for delivery in 2016. 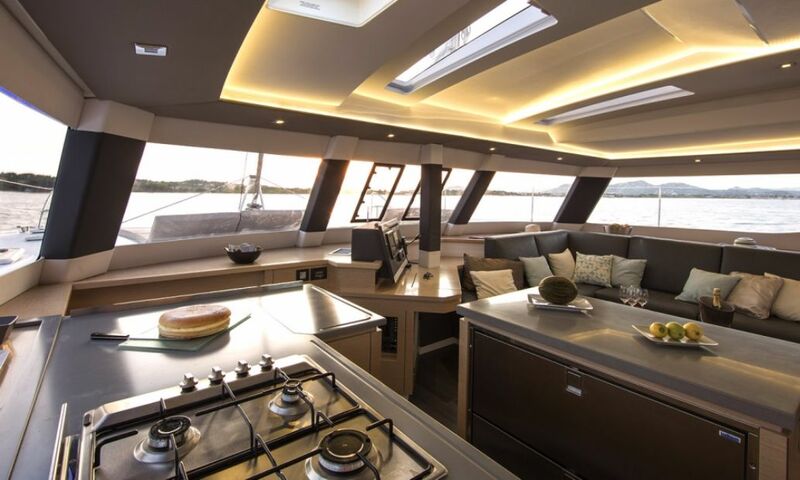 Naval architecture and exterior design is done by Berret/Racoupeau, while her airy and light interior by Isabelle Racoupeau. 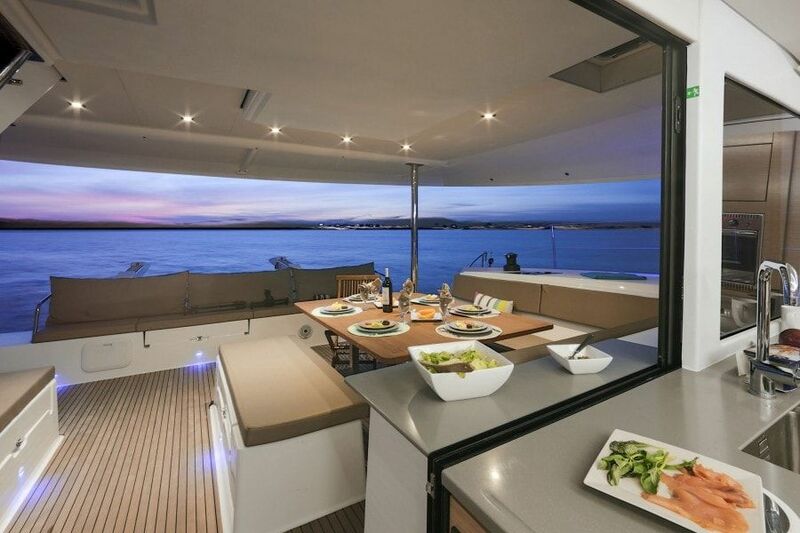 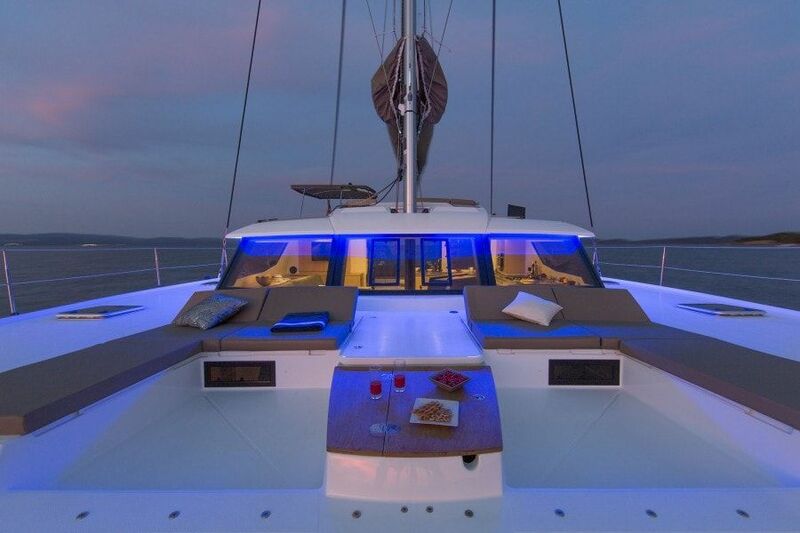 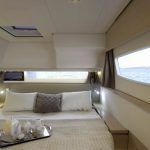 Catamaran Saba 50 offers fantastic and spacious deck spaces to her charter guests; lounge deck equipped with a chaise lounge and two sunbathing decks. 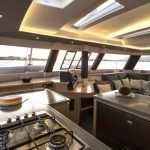 The aft deck features a large lounge equipped with sofa, Al-fresco dining table for twelve guests and swimming platform with shower. 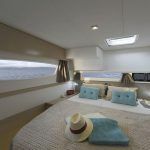 Saba 50 cat boasts beautiful and spacious salon with galley, equipped with all gadgets for extensive cruising in the Croatia & Geece Mediterranean; air condition, WiFi, LCD TV, MP3 player. 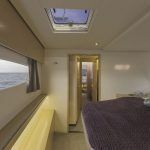 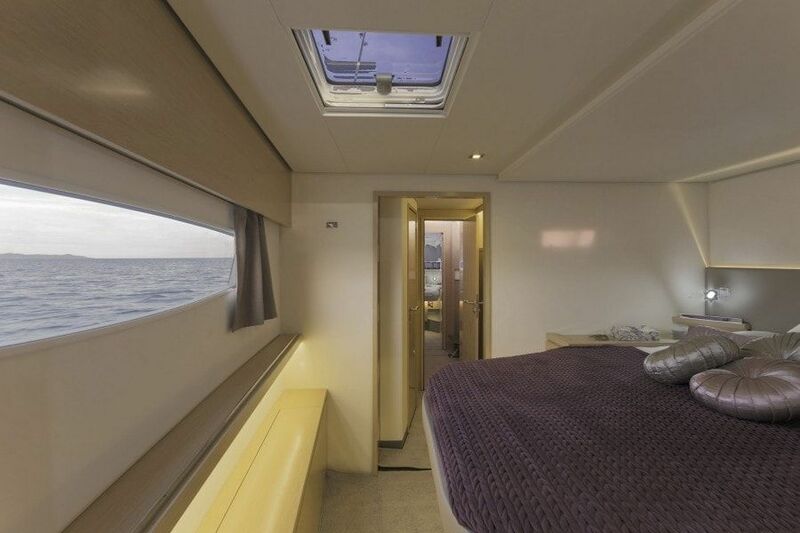 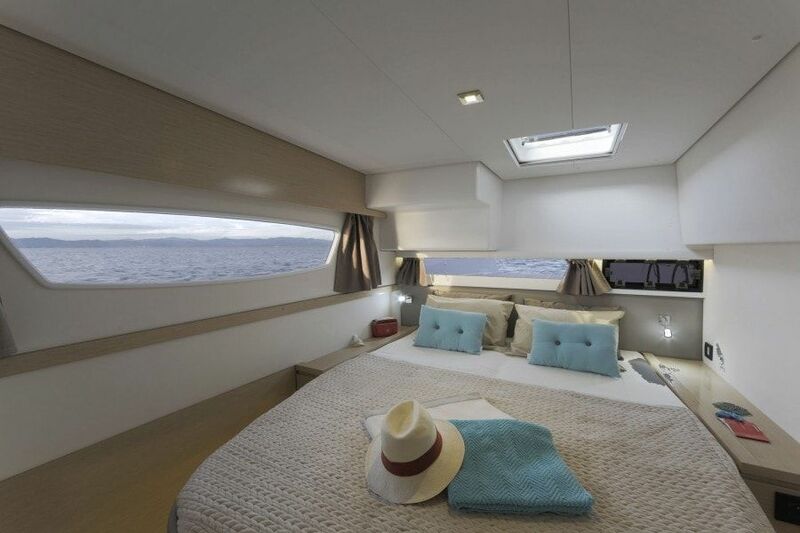 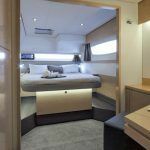 Offers accommodation for twelve charter guests in six air conditioned en-suite cabins with separate cabin for crew of two.Please note that offered cat is not available for hire on bareboat basis! 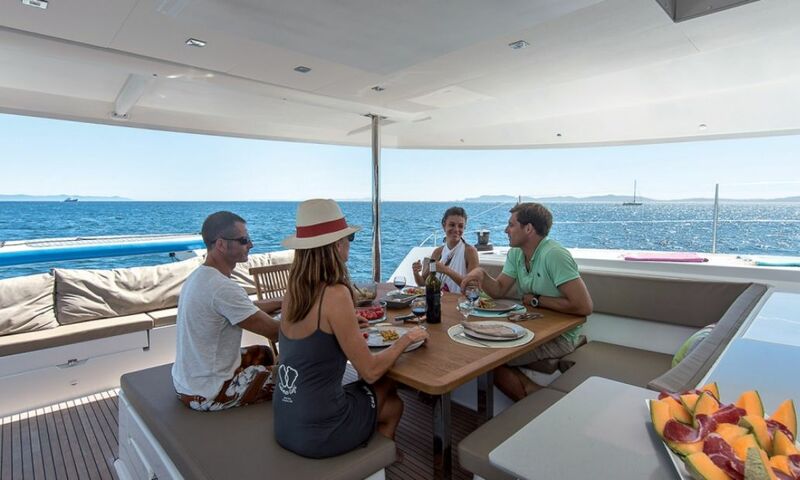 Only with crew! 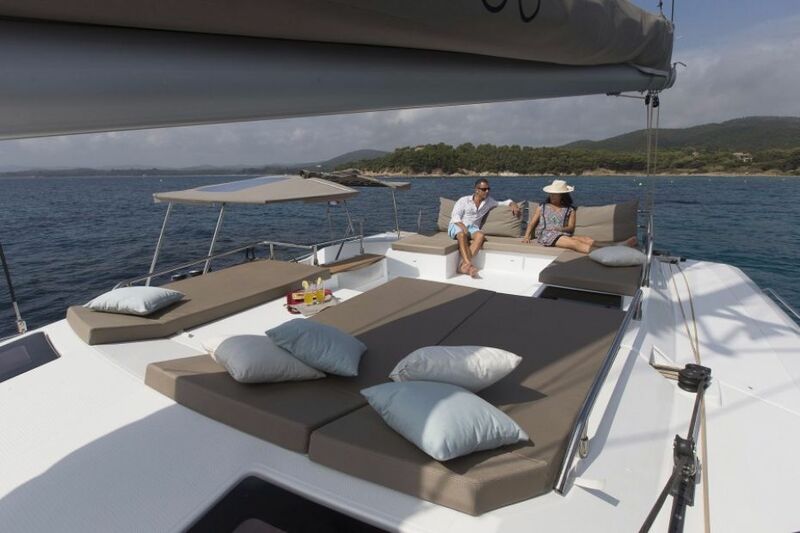 This is one of the special locations; for sunbathing and relaxation. 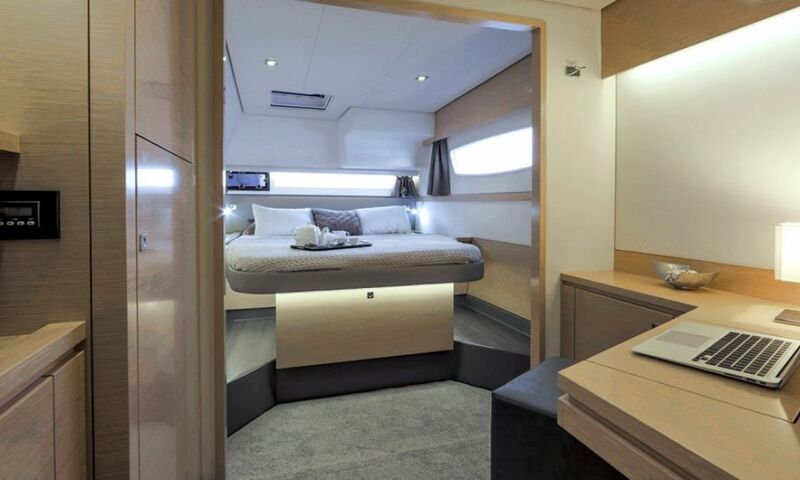 Sheltered and comfortable, it also houses large storage lockers. 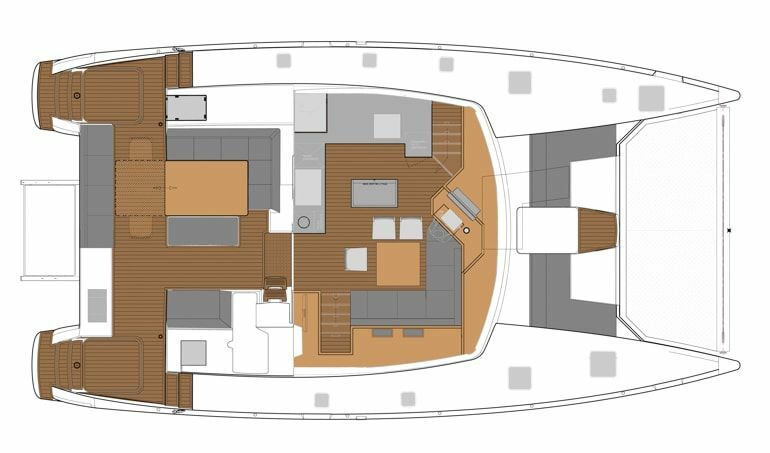 Movement on board has been designed so that there is direct communication between the cockpit, the helm station and the lounge deck. 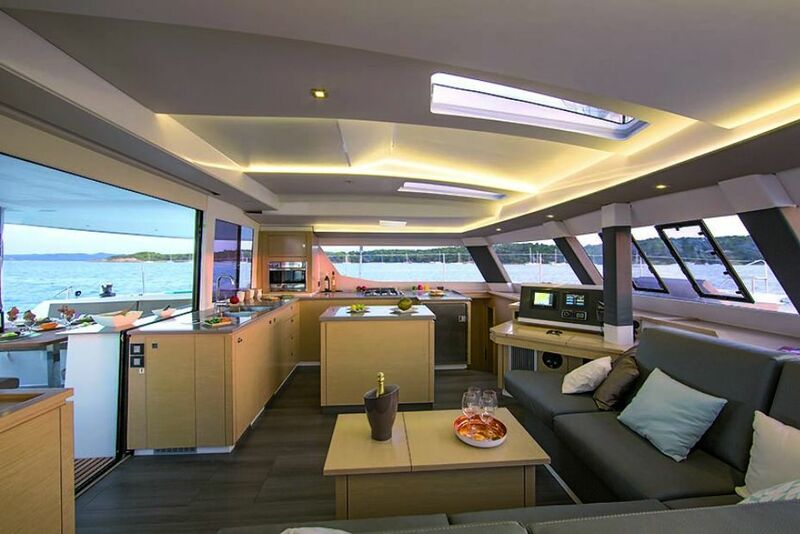 Thus the entire crew can easily move about in complete safety and without hindrance. 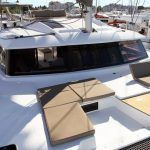 This yacht is available for rent in all regions with Catamaran Charter Croatia, Catamaran Charter Greece and Europe Yachts charter. 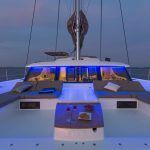 Next articleThinking of renting a yacht in summer 2019?